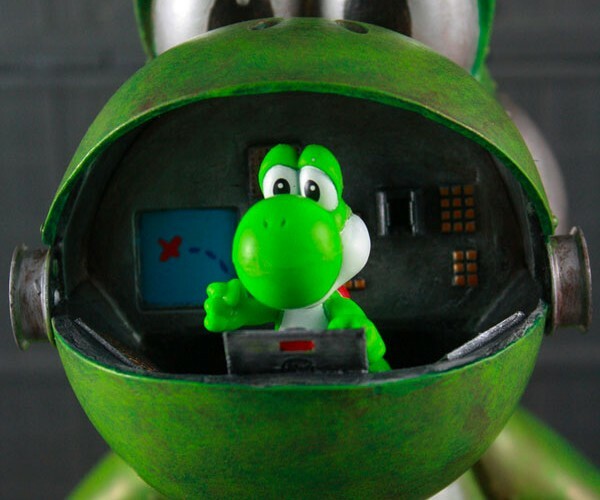 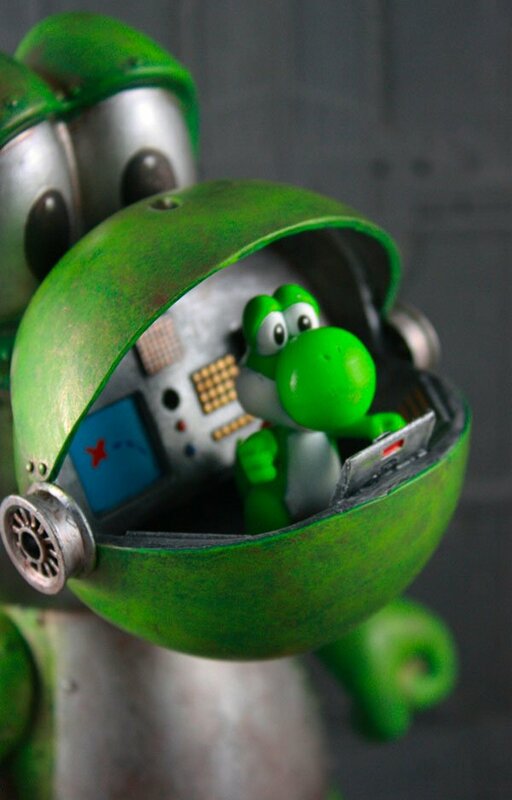 After years of being someone else’s steed, Yoshi finally gets his own ride, thanks to custom action figure maker/Flickr user/Nintendo super fan Donald aka Kodykoala. 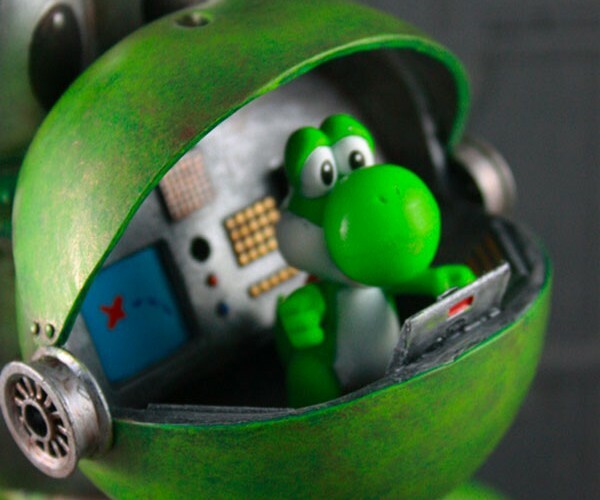 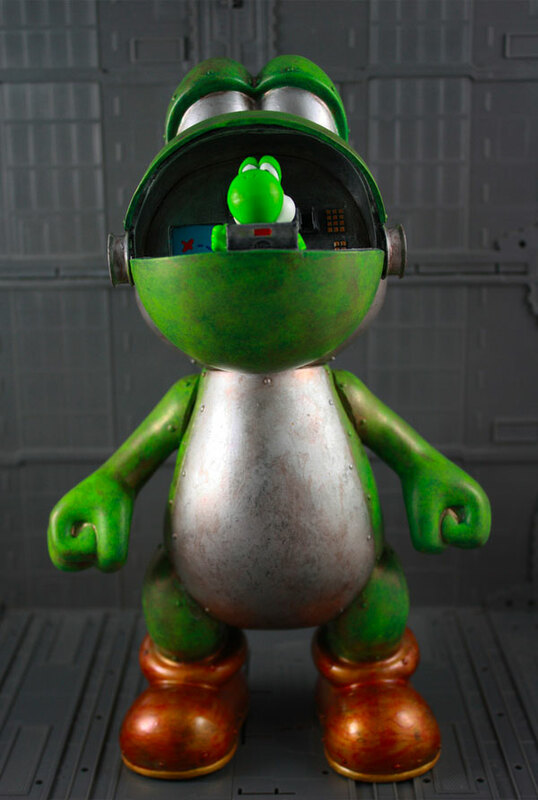 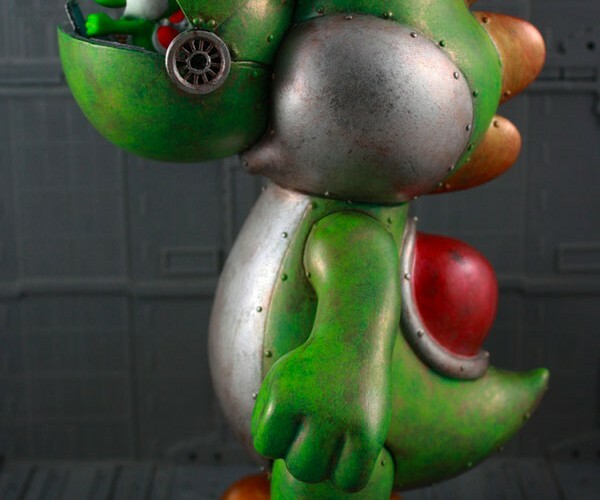 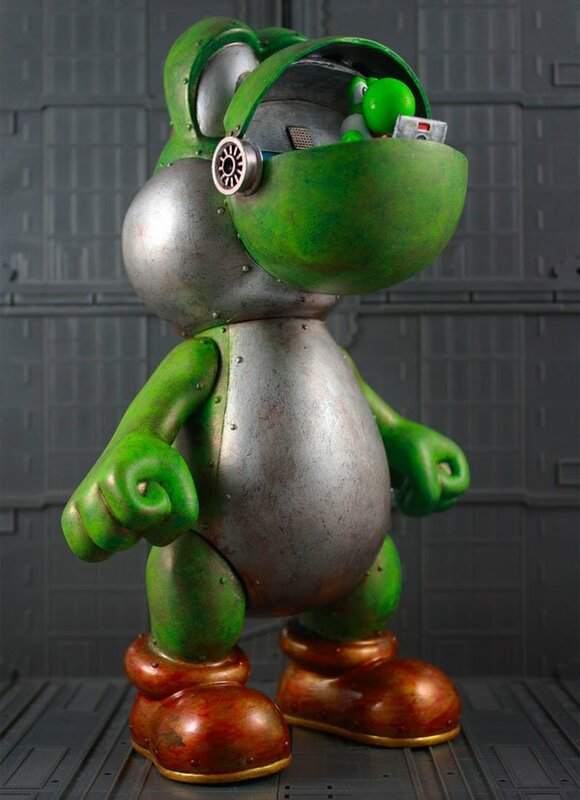 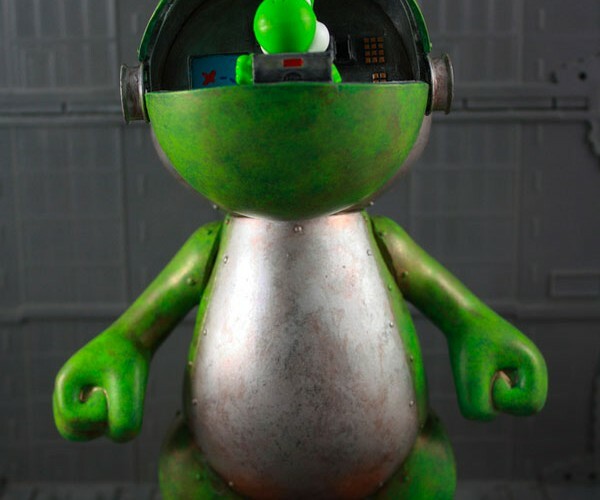 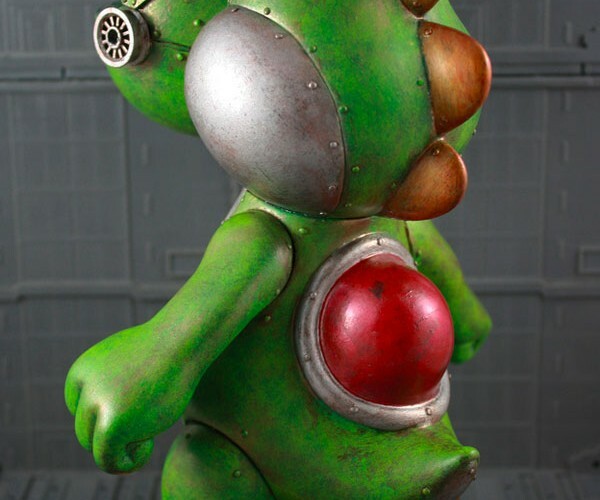 I love the details on his custom Yoshi mech, from the bolt-like markings to the scratches and faded paint. 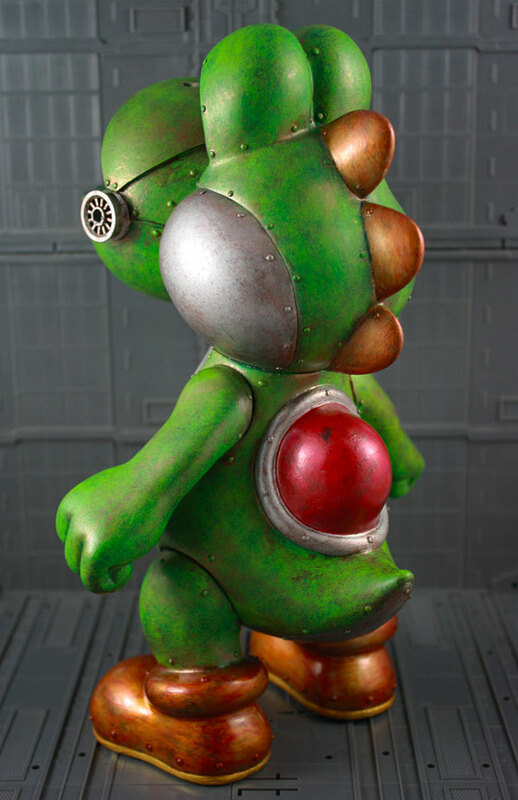 My only complaint with the statue is that it doesn’t have Yoshi’s trademark tongue. 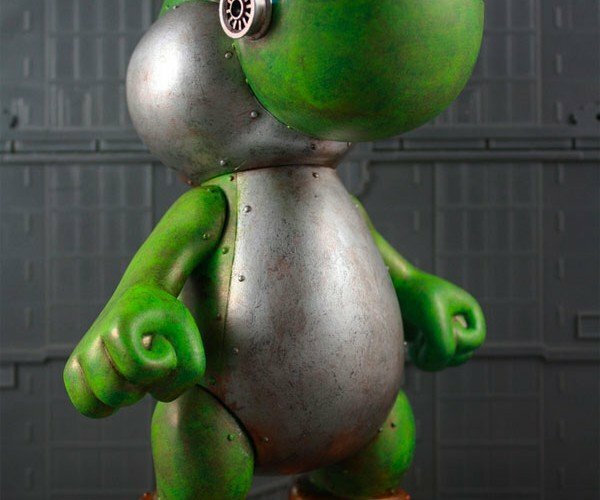 Donald says he’s thinking of making a Luigi robot next. 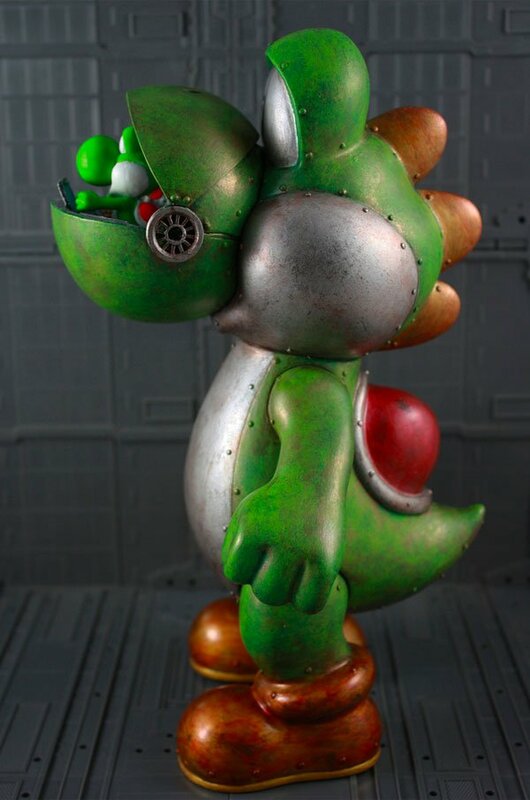 Finally, someone showing Mario’s companions some love. 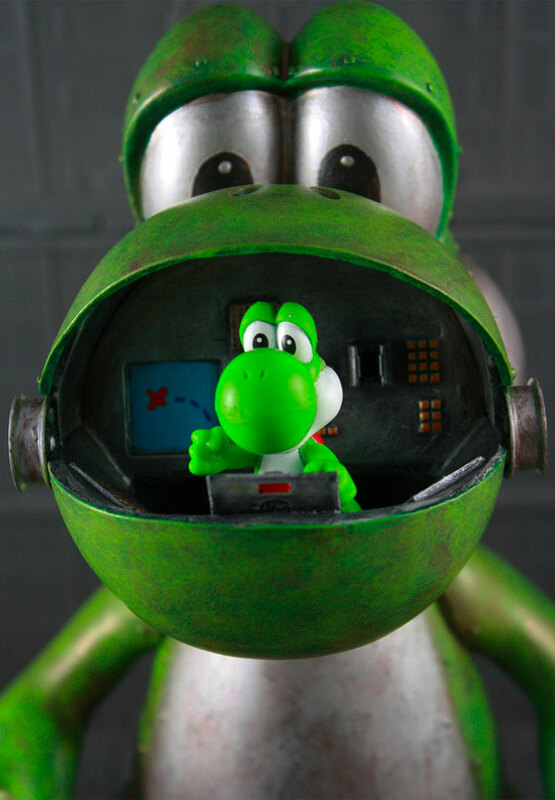 Check out Donald’s Flickr page for more pics.